As Christians, are we hearing and listening to God's call? As members of His Church Body, Jesus expects us to take care of His home (Matthew 6:2). Our beautiful St. Leon Armenian Church is HIS HOME . Are we heeding His call to take care of his home? All who attend St. Leon would agree that ours is a vibrant parish with organizations and activities meeting the spiritual and social needs of all age groups. Our community thrives because of the love with which our multi-talented parishioners share their God-given talents. However, just as our individual dwellings require physical maintenance, so also does our Church. By saying “yes” to Church Membership, you are heeding God's call to sharing in the responsibilities of our Church family. This is pleasing to God (Hebrews 13:16) and God responds lovingly to those who give from their hearts: “Give and it will be given to you” (Luke 6:38). Becoming a dues-paying Member means that you care about the future of this church. Membership also enables you to participate in parish elections and provides privileges for baptisms, weddings, funerals and hall rentals. We would love to welcome you as a Member of the St. Leon Armenian Church Community. It would be our pleasure to meet with you personally, to discuss how we at St. Leon can better serve you and your family. Please contact a Membership Committee member below to discuss how we can be of assistance. 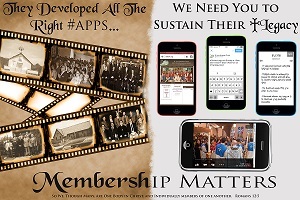 Click here for a Membership Application . You may leave your completed application with a Parish Council Member in our Church Narthex or mail it to the St. Leon Church Office at 12-61 Saddle River Road, Fair Lawn, NJ 07410. Thank you.